You are here: Home / A-Blog / Third Kavanaugh Accuser Sued by Former Employer for Sexually Harassing Two Male Colleagues. Third Kavanaugh Accuser Sued by Former Employer for Sexually Harassing Two Male Colleagues. Of course, this doesn’t make any other sexual misconduct claims against Kavanaugh less likely to be true. But it does point to the fallacy of believing every woman who comes forward with a story of sexual harassment or assault without any evidence or corroboration, which is exactly what Democrats and the #MeToo movement demand. “Due process” was created for exactly these situations. 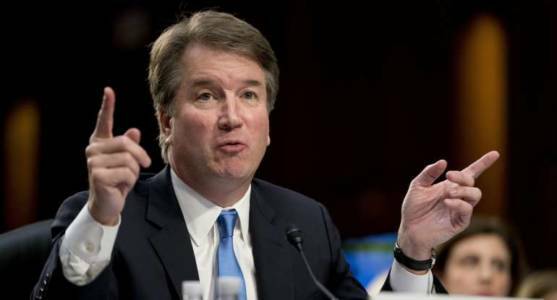 If courts have been referred to as a “crucible” where fact is separated from fiction and all that’s left is the truth, then the demands of Democrats to believe anyone and everyone who has a complaint against Kavanaugh are exposed as the politically motivated witch hunt that they represent. The Salem witch trials were models of judicial excellence compared to what’s being perpetrated in Washington.